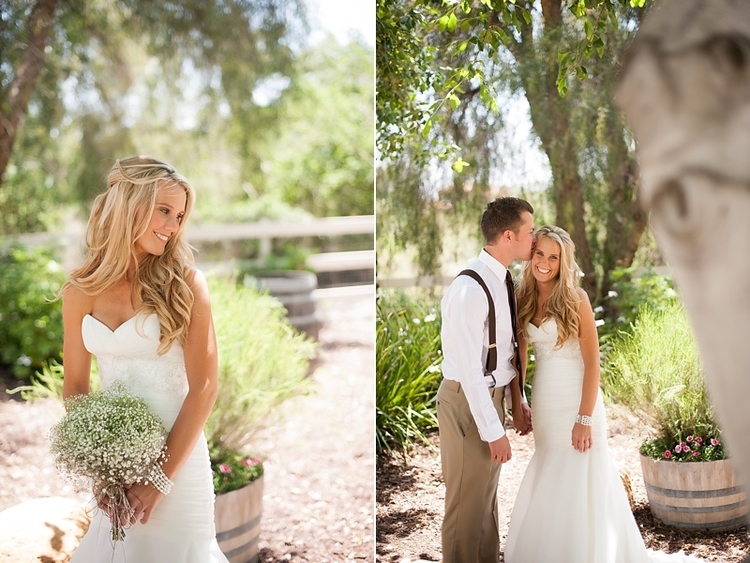 Jen and Travis were a beautiful couple to work with. It was a pleasure to be a large part in making their dream wedding into a reality. As you look at these precious photos, you can see Travis' love for Jen is evident. You can just feel happiness radiate in the room with these two individuals. Jen worked so hard on all the minor details with Elements of Style to ensure a gorgeous, personal wedding for her and Travis. 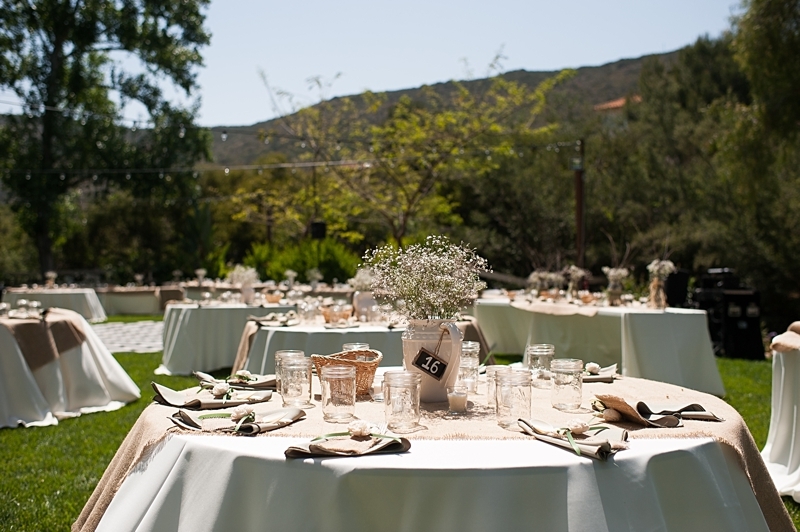 The lace table cloths, wooden decoration, and mason jars are a reflection of the wildly popular "rustic" wedding. 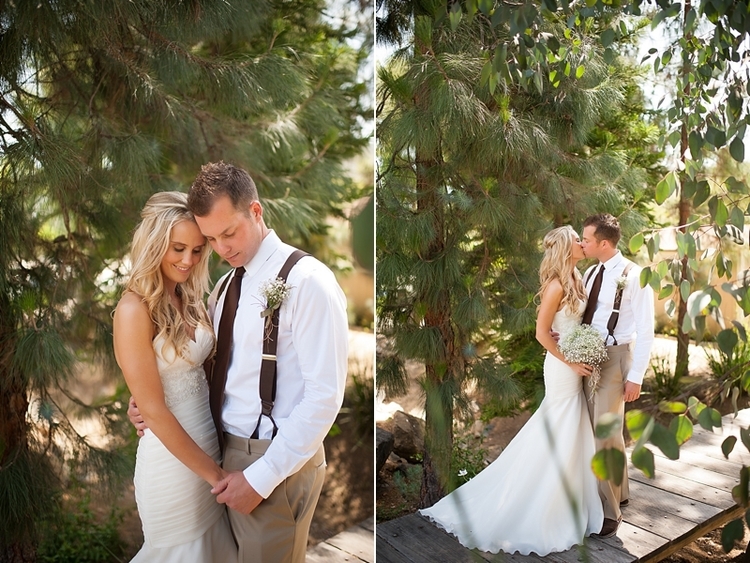 This vintage look gives a warm and welcoming feel for the couple's friends and family! We had a blast creating a wedding for these lovely two people. 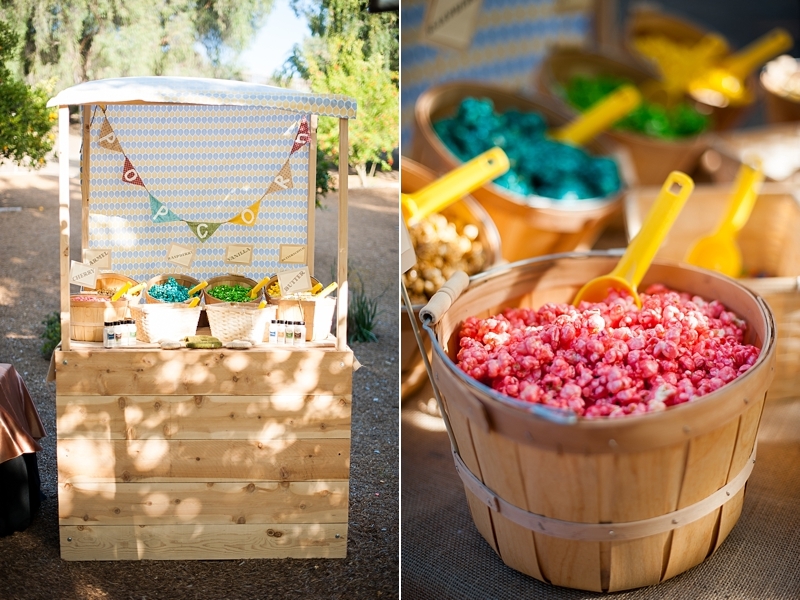 From the creation of the bouquets, setting up the table pieces, and decorating the popcorn station; we were unbelievably lucky to take part in such a magical wedding. 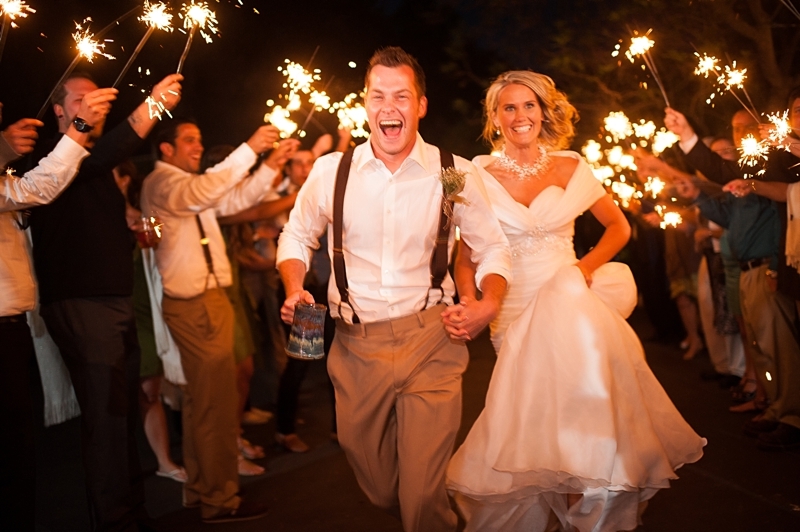 Mary Bowerman (owner/founder) had the wonderful help of Alfonso Pelayo for her favorite getaway car and had sparklers for everyone to send the lovely couple off for their honeymoon. For the beautiful occasion, they used white milk pitchers with baby’s breath to create a warm, home spun vintage feel for the guest tables in the reception. 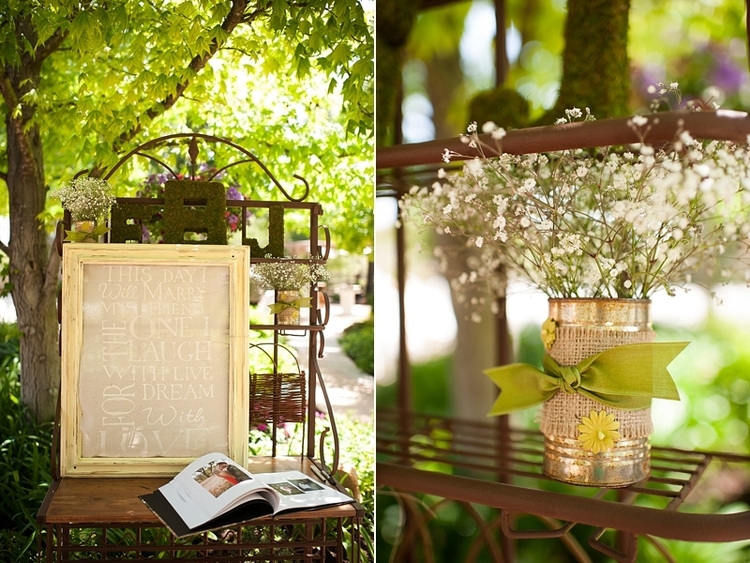 The groom made the arch for his bride and the team at Elements of Style tied bouquets of baby’s breath with virtues of marriage such as, Honesty, Fidelity, Love, Trust, etc. on each small posie. 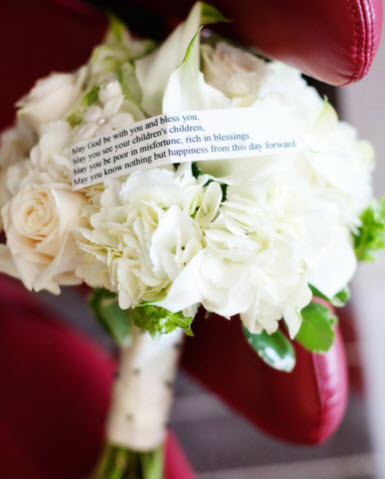 It was a remarkable wedding that will forever be cherished for both the wedding guests and coordinators. The modern and sophisticated setting of San Diego Gaslamp surrounded Margeaux's and Chris' special day. 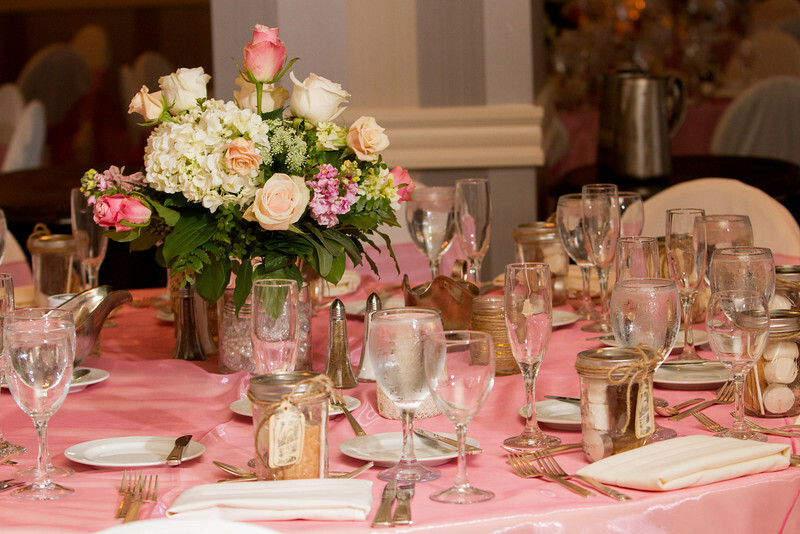 This venue offered the couple an urban feel, and the hotel location enabled them to have convenience throughout the city. 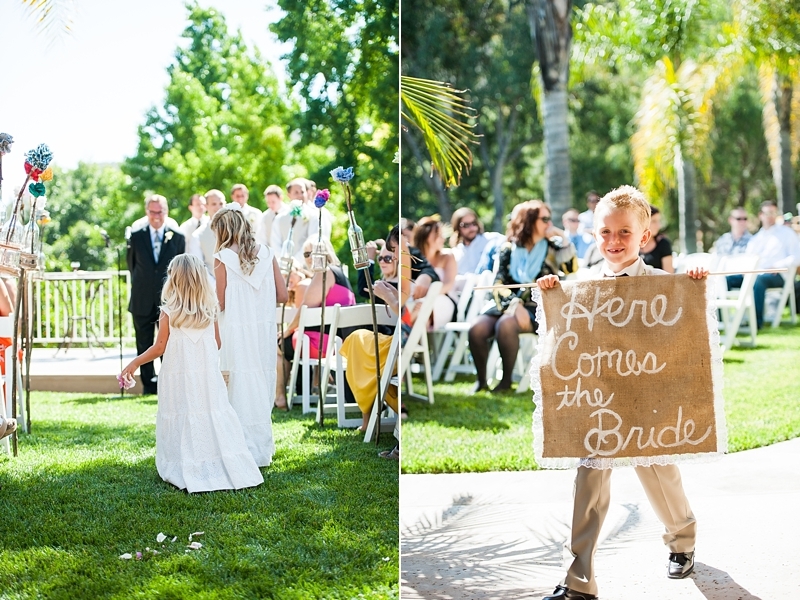 With indoor and outdoor event spaces, the hotel was the perfect location for a beautiful and fun San Diego wedding. As you can tell by these photographs, it met the wedding party needs. From the ambiance of the lobby to the tranquility of the guest room, everyone that had a helping hand provided a place where the guests could relax while enjoying a day that would be unforgettable and appreciated. What's better than saying the words "I do" with a water view? The Hilton San Diego Resort & Spa was and will always be one of our favorite locations. 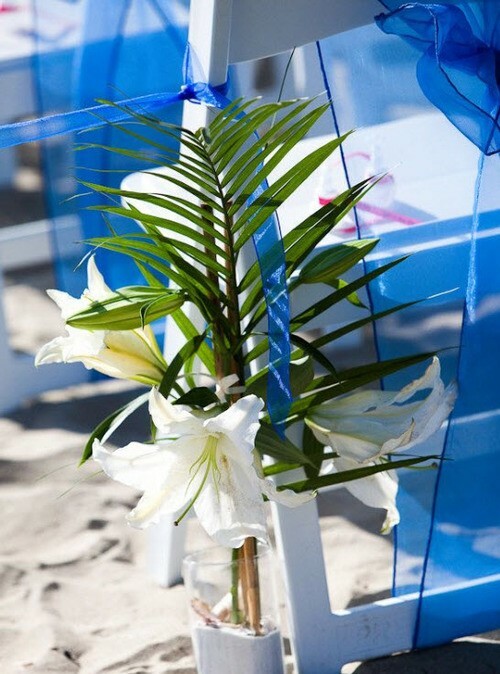 We loved working with this lovely couple and see them start their lives together on the beautiful white sand beach. It was gorgeous seeing the lush greens and palm trees being in the backdrops for the special celebration of their dreams.